18th-20th November 2008. 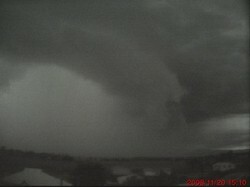 Storms with hail and wind gusts to 100km/h captured on webcam. 26-28th February 2007. 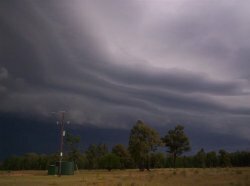 Intense storms including a very nice high precipitation supercell between Pilliga and Walgett. 7-12th February 2007. A period of several days with active storms, with a large electrical storm on the 10th and very heavy rainfall just North of town on the 12th. 2nd December 2006. 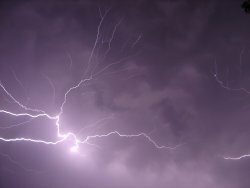 An intense electrical storm with over 3000 lightning strikes in just 15 minutes. 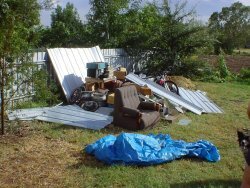 27th September 2006. We captured some photos and time-lapse footage of this photogenic supercell. 20th January 2005. 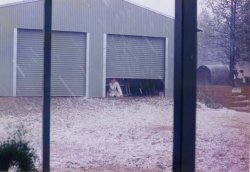 Some photos and movies of the devastating storm that hit Narrabri, prompting 221 calls to the SES. 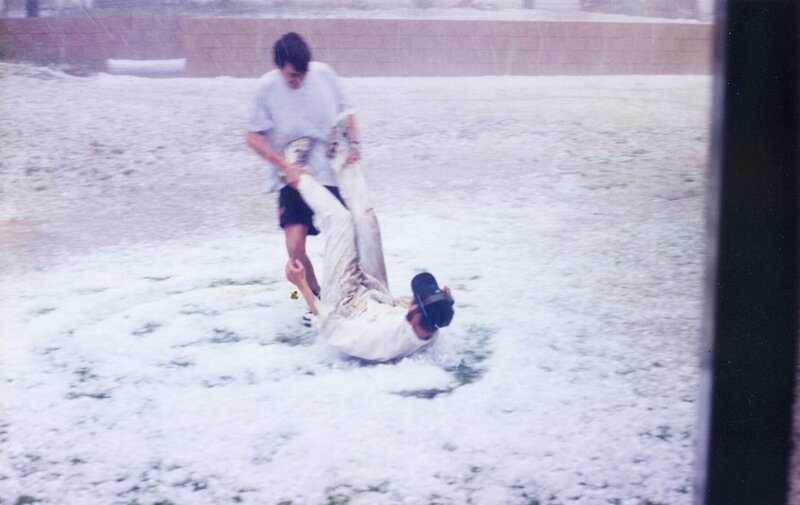 If you have any local storm photos that would make a worthwhile addition to the site, please email us. Naturally all credit for the photo will be attributed to you. 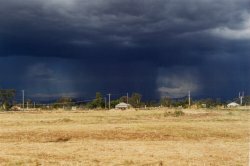 Click here for a list of historical severe thunderstorms and tornados around Narrabri. 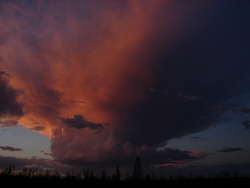 An incredible photo of sunset below an approaching storm on December 12th 2006. Photo by Chris Allen. 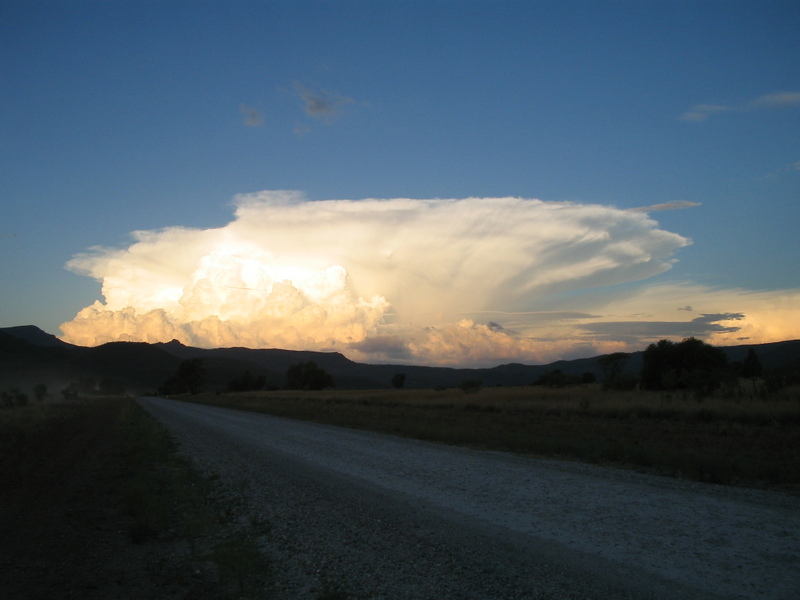 Nice photo showing the updraft and anvil cloud of a young thunderstorm on the Bingara Rd. Photo by Josh Smith. Lightning south of Narrabri on the 28th November 2006. This storm ignited a bushfire that burned over 100,000 Ha of bush. By Chris Allen. 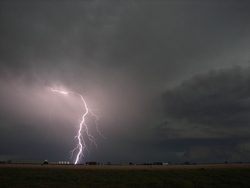 Lightning south of Narrabri on the 28th November 2006. This storm ignited a bushfire that burned over 100,000 Ha of bush. By Chris Allen. 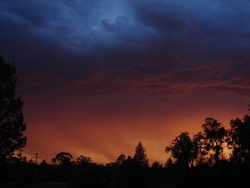 Lightning south of Narrabri on the 27th November 2006. By Chris Allen. Lightning south of Narrabri on the 27th November 2006. By Chris Allen. Storm approaching Jacks Ck area on 27 November 2005. By Erica Cuell. 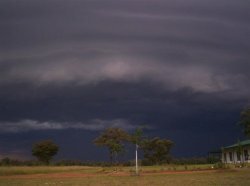 Storm approaching Jacks Ck area on 27 November 2005. By Erica Cuell. Photo of rain/hail shafts some time in the early 1990s. By Marion Hodgson. 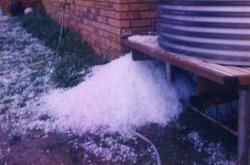 An amazing hail storm that hit the Kaputar Rd/Eulah Ck area in early '94. By Marion Hodgson. 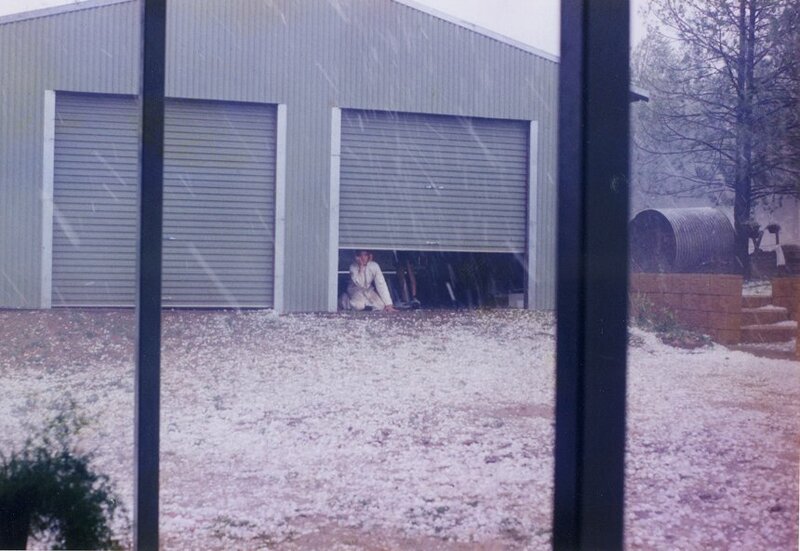 An amazing hail storm that hit the Kaputar Rd/Eulah Ck area in early '94. By Marion Hodgson. 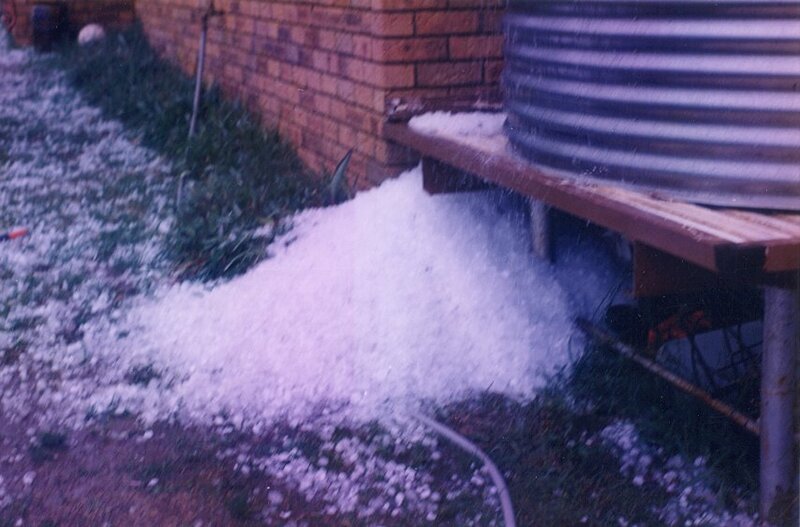 An amazing hail storm that hit the Kaputar Rd/Eulah Ck area in early '94. By Marion Hodgson.